The entire network of co-origination is talking and listening all the time. Lately, when I am giving a lecture, I don’t feel like “I’m” giving the lecture. I feel like my 5 skandhas and my sense gates are the vehicle for the teaching to come through in this present moment, in this lecture hall, and in the twenty-first century. I feel that my entire lineage is talking. I learned from Katagiri Roshi and Okumura Roshi about Dogen. I feel that Dogen is speaking through my teachers and then through my mouth. My 40 years of sitting and studying the dharma is talking – all time is giving the talk. These talks are coming not from me but from an inter-connected network of the dharma. The audience is pulling out what it needs from my understanding. That’s a very deep feeling and a relief, that “I” am not talking. Not one and not two is a very profound concept for Dogen. He does not want us to get stuck in the idea of oneness that may result in obliterating twoness. He very specifically talks about this in his fascicle on the Heart Sutra. We recite the Heart Sutra over and over in a Zen Buddhist temple in the morning service. We recite: Form is emptiness and emptiness is form. In Dogen’s fascicle on the Heart Sutra, he adds, form is form and emptiness is emptiness. The world of form cannot be ignored or mashed together as oneness. A chair is not a table. Hearing is not talking. I am not you. When you are talking, you can not hear it. How can we reconcile this paradox of one and two without killing either side? We have to do this beyond thinking. Dogen writes that this is beyond simultaneity, neither or either. Okumura Roshi often uses the illusion of the old lady and the young lady. The ink on the paper is exactly the same – they are one and yet our eyesight cannot see them simultaneously. 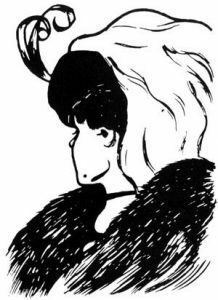 Our perception can see either one or the other and often it takes a few minutes to switch our eye’s recognition. These two are really one but they never meet each other. Hearing and talking are two different things if we think of them conceptually. But they are happening at one time. When we hear, talking is hidden. When we talk, hearing is hidden. But they are in actuality, an expression of one essence. The founding ancestor’s saying, “When talking, acharya, you don’t hear it” means that the whole expression from the head to the tail is like wisteria entwining onto wisteria; it must be that ‘talking’ is clinging onto ‘talking’, and is permeated by ‘talking’ itself. 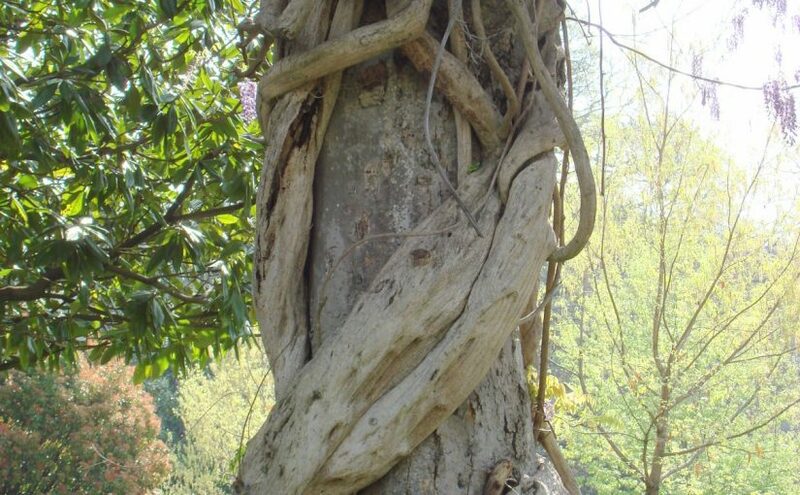 Dogen has an entire fascicle on the “entwining vines” They are separate, the wisteria vine and the tree, but they are now so essential to each other that to separate them would kill them. In modern times, we commonly use the word “enmeshment” as a negative. But the entwining we are talking about here is used positively. That positive and negative, that eternal and ordinary are endlessly entwining. Often in Buddhism, this expression “twining vines” is interpreted that direction of practice is to cut off the entanglements of the karmic world or to get out from the weeds. Dogen uses this word differently. This entwining is like transmission. You can’t differentiate between Shakyamuni and Mahakashapa in their awakening. We cannot tell whose enlightenment it is or even whose body it is. Yet there is still individuality. Their bodies are separate but their awakening are entwined with each other. The wisteria and the tree are separate plants, their inter-relationship cannot be cut off; they live together. Talking and hearing are entwined. The two meanings of “going beyond” are inseparably entwined with each other. There is the ascending meaning of spiritual life which is to go beyond, or rise above our history, development, and the linear perspective of life. We ascend to realizing unity. The descending meaning is that each form or ‘sign’ is unique and specific to time and place. Each sign is unique to its karma. Our practice is to enter into the sign of each moment, whether it is an action or an object. Our practice is to see that there is no obstruction between form and essence. One of Dongshan’s teaching is called Chodo, the way of the birds. When birds migrate they go to a particular geography each year and they know intuitively how to get there. Yet, there is no visible path or no trace of the bird’s way. Practice without leaving any trace. In order to leave no trace, we have to leave behind our fixed ideas and our calculations of how far I have come or where we should go. The birds path is completely one with itself , without thinking and yet, it knows the geography of the land and the direction to its homeland. The path of the present moment is not before buddha or after buddha or beyond buddha. Dogen over and over deconsructs past, present and future. He emphasizes that freedom comes from not living in “thinking” and not living in “time.” If we do, there is always a before and after and a subject and object and a hearing and talking. 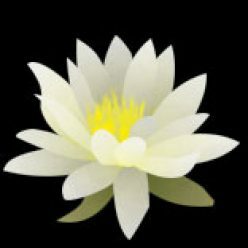 Dogen brings up that this freedom is not prior to the seven buddhas before buddha. All of the seven buddhas before buddha, shakyamuni, all of the ancestors in our lineage after buddha, show up in this moment. The seven prior buddhas, Shakyamuni buddha, mahakashapa, Ananda, me and you, are all twining vines realized in the dynamic energy of through-the-body going beyond in this moment. This is the interchangeable face of the ancestor. As Dogen said in one of his fascicles. Teacher and disciple practice mutually like the forward and backward stop in walking. “Ananda hides his body in Mahakashyapa and Mahakasyapa hides his body in Ananda.” As our unique face is dissolved, we can exchange our face with the True face and the face of all the ancestors. Exchanging your face with the whole universe, we can hide our face in the object, action or sign of each arising moment. We use our own unique body and skandhas to express going beyond. What I mean is a single-minded vigorous way of life. Therefore, we understand the matter of going beyond Buddha by upholding the ancient buddhas and raising our own fist. If we have already attained insight in this way, we know a person who goes beyond being-buddha as well as a person who goes beyond non-being-buddha. Going beyond being-buddha and non-being buddha, we express buddha in our own life with our own clear 5-skandhas. We hold up our own fist which is one of the standard gestures of our ancestors in expressing this action in the here and now. Our own fist is the same fist as the ancestor. Our own practice, the same practice. What Dogen means is a single-minded vigorous expression of our own life! Our own life which is merged with all life.